For Vodafone’s latest phase of the Team Of Us sponsorship and coming off the back of Irish rugby’s most successful year on the pitch, we wanted to reflect the mood of the nation off the pitch. The campaign takes a journey across Ireland and beyond, taking in its people and culture showing the unique relationship between rugby and the country. Culturally in the past there has been a misconception that rugby is only for the few who live in key rugby strongholds in the four provinces. We wanted to blow that misconception out of the water and show that no matter who you are, there’s room for you in the Team Of Us. 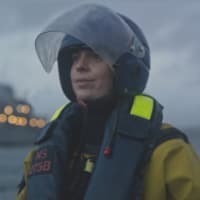 This central idea reflects Vodafone’s purpose to connect everybody to live a better today by connecting Irish people to the Irish rugby team in fun and unexpected ways. ‘Everyone In’ launches with a celebratory online film and TV ads, all acting as an open invitation to all Irish people to join in and stand with the Irish rugby team. In it we see people and players from the 4 corners of Ireland and across the globe, with cameo roles being delivered from diverse sources such as Joe Schmidt and cultural icon Bosco. The campaign launches ahead of Ireland’s defence of their Guinness Six Nations crown and will evolve through to the Rugby World Cup in Japan and extends heavily beyond film and TV, with multiple touchpoints including social, digital, outdoor and activation.